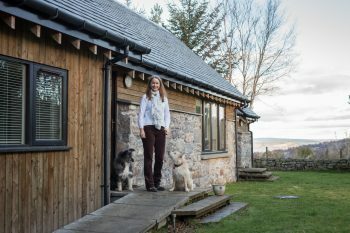 Pinewood Steading offers luxurious self catering near Loch Ness, in a rural and tranquil part of the Scottish Highlands - a unique and breathtaking landscape. With captivating and uninterrupted views over the Beauly Firth, to Ben Wyvis and beyond, we call it our 'Slice of Highland Heaven'. Welcome to Pinewood, luxurious self catering near Loch Ness. Pinewood is a converted stone steading set in 3.5 acres of mixed birch and pine trees. This is a peaceful haven in a secluded location. A perfect place to get away from it all, to relax and unwind. To have a physical and mental detox from fast paced living, to connect with wilderness and nature. Pinewood sits on the doorstep to some of the most spectacular scenery and mountain ranges of Scotland. And it boasts its own stunning views. It looks out across the Beauly Firth and the Black Isle, Ben Wyvis, and the hills of Strathfarrar. On a clear day you can see the mountains of Torridon! Here, you can truly experience the peace and tranquility of Scotland and our own rural setting, combined with easy access to modern amenities. Pinewood is only a 20 minute drive from Inverness, the capital of the Highlands. It is 35 minutes from the airport, just 10 minutes from the village of Beauly, and near the Great Glen and Glen Affric. Pinewood Steading is an immaculately presented, very well-equipped, single-story holiday accommodation with wheelchair access. It has thoughtful and luxurious touches throughout to make your holiday that extra bit special. The main living area is open-plan, with a warm welcoming lounge and benefits from a wood burner. This room leads into the large kitchen which is bright, modern and well equipped with wonderful views over the Beauly Firth. Pinewood has underfloor heating throughout which is lovely, especially in winter when you can jump out of bed onto a warm floor! There is also unlimited, high-speed wifi with free access. We are pet friendly too. Come and relax in some luxurious surroundings. Pinewood Lodge and Pinewood Steading sit on the same site. The lodge is where we live (Jane & James, and dogs Emma and Mina). We live next door to the Steading, but we are detached. With such a stunning location, we are so lucky to call this natural landscape our home. And are so lucky to be able to share it. Ask us about local places to visit, great walks nearby or super places to eat. We are passionate about the area and have a wealth of knowledge we love to share! 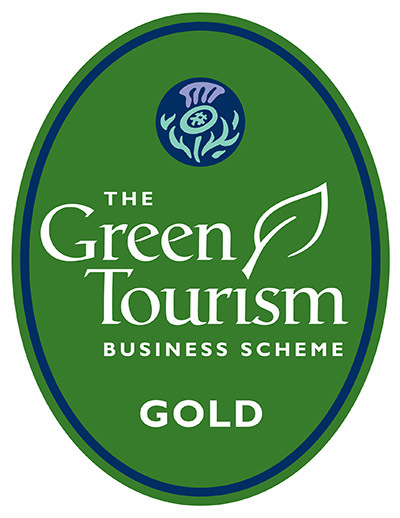 We are also passionate about our green credentials and are thrilled to hold the Gold Award from Green Tourism, the largest and most established sustainable certification programme in the world. We are committed to building a green and sustainable business, and you can check out our credentials on our Green policy page. We showcase our vision and green policy and explain why this ethical choice is important to us. The Steading will appeal to outdoor enthusiasts and walkers, as well as tourists. 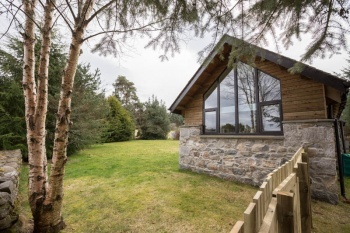 It is ideally situated for easy access to walks in Strathconon, Strathfarrar and Glen Affric. Mountain biking, cycling, fishing and winter sports breaks are all possible too. Pinewood is also close to tourist attractions like Loch Ness, castles, whisky tours, and historical battlegrounds. The best all-round place to combine wildlife, history, heritage and culture. James and I will be happy to make recommendations of special places for you to visit and explore. We can help with the best things the area has to offer, and show you gems that only locals know. We hope to make your holiday as memorable as possible. We really look forward to welcoming you and helping you to experience your own slice of Highland Heaven.